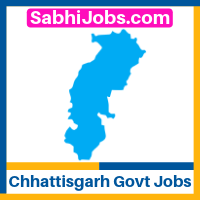 Latest Chhattisgarh government jobs 2019-20 all upcoming and current CG jobs notification, candidates can apply Sarkari Naukri in Chhattisgarh in Hindi (छत्तीसगढ़ में सरकारी नौकरियां ). Job Seeker who has completed their graduation, Diploma, ITI or passed class 10th and 12th pass jobs in CG can filter state government posts according to their qualification. If you are preparing for Govt examination and want CG free job alert to stay updated for CGPSC, CG-VYAPAM, CGPEB, Chhattisgarh police, District courts or Chhattisgarh High Court recruitment notification then you can bookmark this page. Aspirants who are interested to apply job application form can read all the requirement and important details by going to specific organization page, Kindly check all available CG online jobs from below table. We have good news for job applicants who are looking for upcoming Chhattisgarh. On this page, we have collected and uploaded all the current jobs and upcoming CG govt jobs list 2019-20 will also be uploaded as soon as notification will be released on the official website of Chhattisgarh – cg.gov.in, so if you are looking for any examination then save this webpage to get CG free job alert com. Visit this page on a regular basis so you can apply application form as soon as it gets released. Are Looking for Sarkari Naukri Chhattisgarh? if yes then you are at right place here on this page we are providing all types of government jobs. Not only CG state govt jobs we have listed all central government jobs also for which people of Chhattisgarh can apply. All details of govt job posts which helps our readers to understand the job requirement is available on our website. Not online Eligibility Criteria (academic qualification, age limit, work experience), Pay scale and Application fee you can also check how to apply online application & what will be the selection process. Candidates who wanted to check examination syllabus, availability of admit card or looking for exam results can get all the information on one place by reading our blog daily. Many job applicants have the interest to join the jobs in the power sector in Chhattisgarh. As you know the CG power sector is divided into various verticals like Power Generation, Distribution and transmission. So candidates should check career opportunity in all parts of Chhattisgarh state power, not only power plant jobs in Chhattisgarh for freshers and experienced. People from Chhattisgarh can search vacancies in NTPC that is an Indian Public Sector Undertaking, engaged in the business of generation of electricity and allied activities. A job seeker looking to join power plant jobs in Chhattisgarh can check all the organization related to the power sector in CG. As you know the state ranks 2nd in coal production by contributing over 18% to the total national production. so if you are looking for coal mines jobs in CG then huge vacancies are waiting for you as there are total 12 coalfields of the State located in Raigarh, Surguja, Koriya and Korba districts. Candidates looking for more information related to these coal mines can check all the information on website chhattisgarhmines.gov.in and stay updated for Coal mines jobs in Chhattisgarh visit this page on a regular basis. Any person who wants Govt job post in Steel Industry in CG must check the Job opening in SAIL as The Bhilai Steel Plant (BSP), located in Bhilai, Chhattisgarh. It is India’s first and main producer of steel rails, as well as a major producer of wide steel plates and other steel products. The job seeker who is looking private jobs in steel industry in Chhattisgarh can check the career opportunity in Tata steel limited jobs in Raipur Chhattisgarh. If you are an engineering graduate and searching for Government jobs for engineers in Chhattisgarh, then we have good news for you is that there are a lot of job posts available in CG for engineering students. Here on this webpage, you can check all latest and upcoming engineering jobs in CG. There are many other job vacancies for which you can apply after completing your BE/ B tech. Keep checking our website for regular updates on mechanical, CS-IT, electrical and civil engineering jobs in Chhattisgarh government. Job Seeker who wants to start their career with teaching line can check the list of current job vacancies from the above table. Chhattisgarh professional examination board hiring various vacancies for teaching staff. Aspirants can check all govt teaching jobs in Chhattisgarh at official website cgvyapam.choice.gov.in. Also check all other teaching jobs at Chhattisgarh in Government University, College. Candidates can try teaching jobs in the private sector also has many private institutes are hiring teaching staff in 2019. Public Banks in India recruiting for various posts like PO, SO, clerk and another job vacancy If you are looking banking jobs in Chhattisgarh 2019 notifications to apply online application form. To Get free jobs alert for CG bank jobs for freshers and experienced you can subscribe our page, once you subscribe our website via platforms like Facebook and emails then we will start sending job alerts for bank jobs in Chhattisgarh 2019. So to stay connected with us subscribe so whenever Chhattisgarh bank jobs come we will update you. Chhattisgarh Government is looking to hire candidates. Aspirants who have passed ITI can apply for ITI govt jobs in CG 2019. Candidates can check all the eligibility criteria and requirements on Sabhijobs.com. We are providing Fresh government jobs updates in Entire India. If you are searching for ITI jobs in Chhattisgarh then don’t just sit and wait, Start searching Highest paid Chhattisgarh Government Jobs in 2019 with us. Not only Government vacancies, even if looking for private jobs in Chhattisgarh you have multiple options. Private bank jobs in Chhattisgarh is a good opportunity for aspirants who wanted to join the banking sector job in CG. Banks like ICICI, HDFC, AXIS bank releases notification to hire fresher and experienced candidates. Apart from banks, there are many other organizations like Private universities, Colleges and schools are recruiting for teaching jobs in Chhattisgarh. If you are not interested or eligible to join banks or institutes then you should try private jobs in Raipur Chhattisgarh full time or part time jobs in Bilaspur Chhattisgarh for freshers and experienced.